The National Exhibition was housed in a cruciform building, with four ‘transepts’, specially designed and erected at the Corn Exchange on Albert Quay, the site of the present City Hall. Three of the four transepts were given over to the display of, amongst other things, whiskey, ale, porter, pearl barley, ‘Norton’s Projectile Shells’, hydraulic presses, Valentia slate, stuffed birds, wax flowers and Cork Ginghams. Most of the major Cork businesses and manufactories participated. 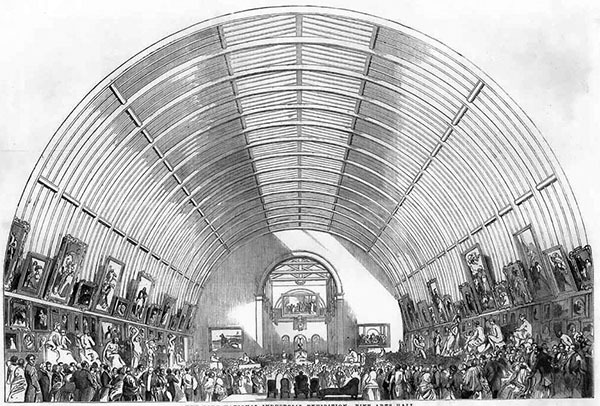 The Fine Art Hall of the Exhibition, in the Southern transept, contained paintings and sculptures by prominent Irish artists. According to former Cork city architect T.F. 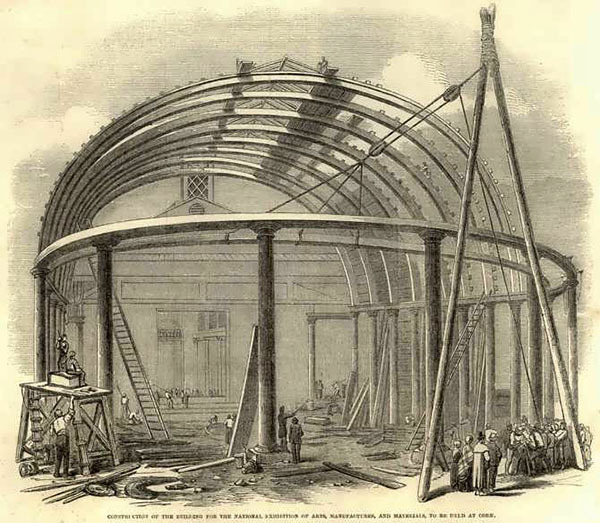 McNamara, the materials used in the construction of the National Exhibition building were soon after reused in the construction of the Athenaeum theatre.